Path of Exile is free to play, it is very simplistic in terms of builds and Path of Exile encourages player to make their own class to their own likings. Path of Exile is an ARPG with customization being the main theme of the game. There is no class system. In Path of Exile, any character can use any skill gem in this game, only thresholds in form of attributes, there are no restrictions. If you want to invest more time into this game, I recommend looking at builds, life or ES based, just to get an idea how you can approach yourself at making your own build. Here are some key notes and tips: https://www.u4gm.com/path-of-exile. The game is completely free and will never be pay to win. Anyway, Path of Exile plays like a typical isometric action RPG. Your character will fight hordes of enemies and nasty bosses for levels and loot. 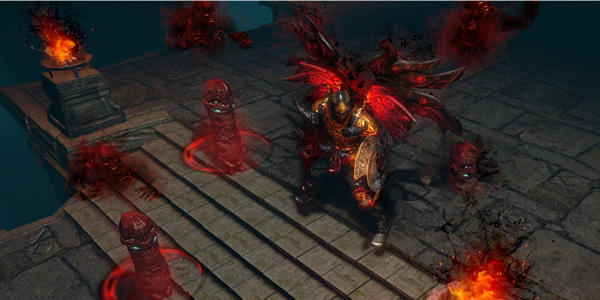 Path of Exile is currently in Open Beta. To be honest, the game is basically the sequel Diablo II fans actually wanted: A massive, complex ARPG with almost limitless character customization, a ton of loot, and a gritty art style that matches the tone of the game. The real draw is what the Path of Exile team has been able to do with the new combat areas, though. For this game's expansions and updates, read more at here.